AUSTRALIAN Wool Innovation chairman Wal Merriman has stood down as the body’s leader and been replaced by his former deputy Colette Garnsey. Ms Garnsey told ABC Radio’s Victorian Country Hour Mr Merriman’s resignation as AWI chairman yesterday was his decision, but he would remain on the board. Mr Merriman joined the AWI board in 2004 and has been chairman since 2008, but has recently been at the centre of several industry controversies concerning his behaviour and AWI governance. Issues included Mr Merriman’s actions in covertly observing fellow breeders in a focus group behind a one-way mirror and swearing at an ABC reporter last year, and the AWI board’s failure to support all recommendations from a critical independent EY governance and performance review this year, contrary to the expectation of Minister for Agriculture and Water Resources David Littleproud. Mr Merriman also recently claimed AWI would become technically insolvent if growers voted for a 1.5pc levy in the 2018 WoolPoll and his chief executive officer Stuart McCullough partially blamed wool grower bodies for recent wool price falls. Mr Merriman could not be contacted this morning, but has maintained he would stay on the AWI board as long as he had shareholder support, despite the EY review recommending the AWI board institute a 10-year director term cap. Mr McCullouch could not be contacted for comment. At a Rural Press Club of Queensland luncheon in September, Minister for Agriculture and Water Resources David Littleproud said “it’s time for personalities to leave” AWI, but did not specify if he meant Mr Merriman. At that time, AWI chairman rejected the notion any “personalities” needed to leave AWI. However, Mr Littleproud earlier this week was seeking a meeting with Mr Merriman. In a statement this afternoon, Mr Littleproud thanked Mr Merriman for his service to the wool industry. “He will leave a legacy few will forget. “He’s chosen a logical time to step down,” the minister said. Mr Littleproud said Mr Merriman’s departure did not change his attitude to the EY Review recommendations, which he expects to be implemented ASAP as per the review. Mr Merriman’s resignation also comes as preliminary results of the 2018 WoolPoll show that just 13,506 voters, or 28.67 percent of those eligible, voted to decide AWI’s levy for 2019-22, casting 55.92pc of the eligible votes in the ballot. This compared to the 2015 WoolPoll, when 12,912 valid voters (31.83pc) cast 50.68pc of eligible votes. AWI led by Mr Merriman fought to retain the current 2pc levy in the ballot, against a protest campaign by wool grower bodies supporting a 1.5pc result. In an AWI media release today, Mr Merriman said it had been a privilege to lead AWI during a period when Australian wool has cemented its position as one of the world’s great fibres. “I step down proud of what we have achieved during my time as chair. “We have invested record amounts in research and development, making breakthroughs that will future-proof the wool industry,” he said. “Our increased focused on marketing, including the re-establishment of the International Woolmark Prize, has ensured Australian wool is back on the radar of the world’s leading designers and brands. “And our efforts have contributed to a near-threefold increase in Australian wool prices,” Mr Merriman said. The AWI statement said Mr Merriman will remain a director of AWI, with his role as director to be determined by AWI shareholders when he retires by rotation at AWI’s 2019 annual general meeting. Ms Garnsey – whose early childhood was spent on sheep properties in western NSW and who has 39 years of experience in the retail, wholesale, distribution and marketing sectors – has been on the board since 2010 and has been deputy chair since 2017. She thanked Mr Merriman for his leadership of AWI and the wool industry. 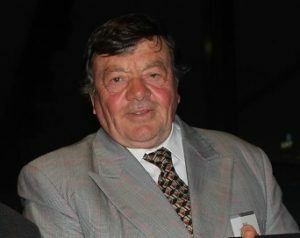 “Mr Merriman has provided long and outstanding service to the wool industry. “He has played a pivotal role in increasing the global demand and market access for Australian wool,” she said. 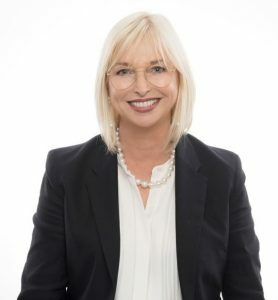 Ms Garnsey said that as the new chair she was committed to listening to wool growers and AWI shareholders, ensuring their views were heard at board level. She said one of the company’s highest priorities was responding to, and actioning, the 82 recommendations of the review of performance and governance commissioned by the Federal Government. “As we move forward, our focus is on listening to wool growers, to addressing their concerns, to doing the right thing by our levy payers and to building a stronger company for the benefit of the wool industry. “Given the drought conditions affecting so much of the industry, there is no more important time for a strong AWI working to support wool growers,” she said. “The board and the executive team are committed to working though the changes required,” she said. AWI has lost a committed leader whose team’s great work in reshaping the marketing and research company as a producer-owned and democratically elected board stands head and shoulders above other supposed rural industry groups.